These drawings were included in the thank you letters sent to me by the children of a Kirklees school Captain Burwash visited last month. I love receiving drawings like this, and thought I would share some of them with you. Here you can see the Captain with the whole class. 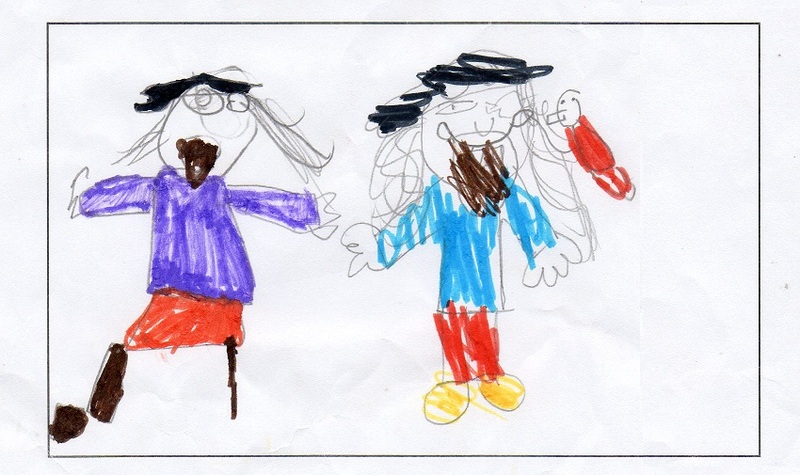 The artist, presumably the little one right next to him, is saying ‘Cool’, while the captain seems to be coughing! 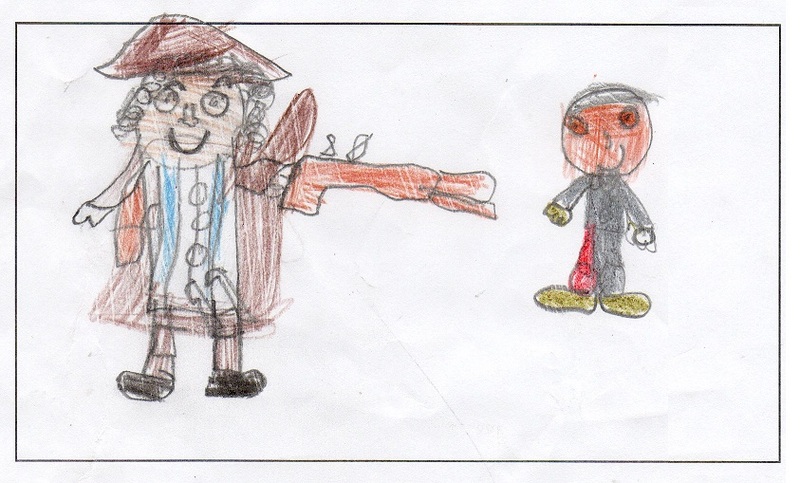 In this one the captain is drawn in much greater detail, but I don’t like the way he appears to be robbing the child! In this next one captain Burwash has removed his shoes, probably by necessity as his hands and feet have swollen considerably. He is still smiling though. 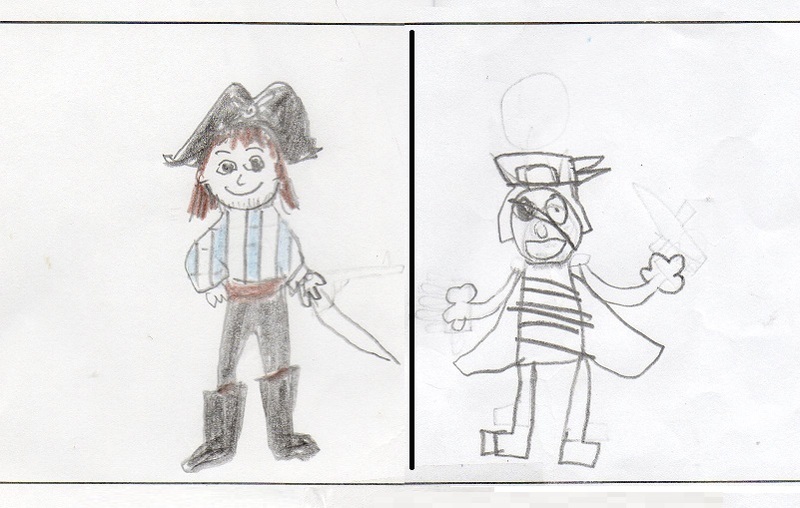 These two images are from two different children who may have been inspired by other pirates when drawing their own particular depictions. 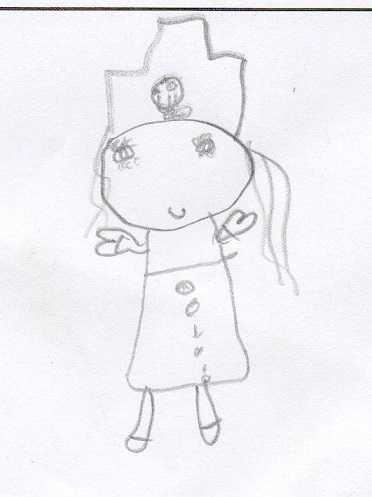 Here the captain has apparently transmogrified into a nurse with what appears to be a caterpillar living inside her hat. In this drawing it looks like the captain was visiting not the school but instead his family. There is a very clear familial likeness. 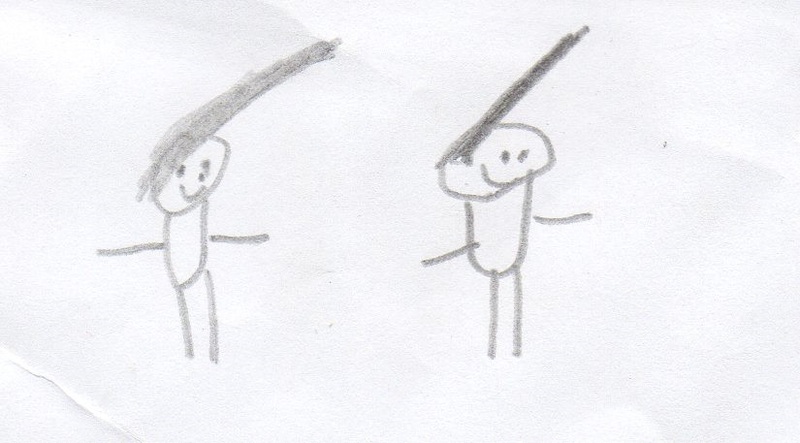 These two drawings could be before and after images. I don’t know what sort of scrape the captain got himself into but he does look angrier afterwards! Here the captain and a friend appear to have gone on deck on a windy day. Not only have their hats blown away, but their hair is trying to follow! In this detailed drawing you can see many of Captain Burwash’s possessions – his tricorne, pistol, cannon ball, musket and what I think is a cuttle fish! In the next drawing I am not sure which one is the captain, as I don’t recall him having either one leg missing of a pet parrot. Perhaps these are two of his crew? I this last one the captain seems to be setting a new fashion by wearing a little boat upon his head. I reckon it could catch on. If you want to know more about Captain Burwash, please click here. And if you want him to visit your school, please get in touch.